Many would give all they own to find the fountain of youth, the fabled spring that will grant eternal health and vigor to whomever drinks its water. But reversing the affects of time does not actually recreate youth. There is an essence to childhood entirely its own - being young does not just mean you have low cholesterol. 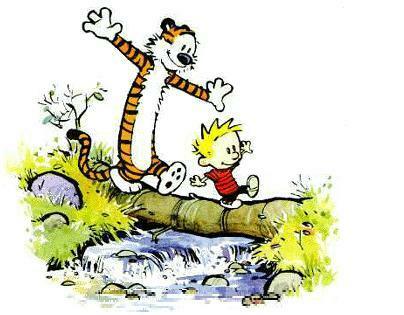 Being a kid, particularly a small child, is at times frustrating, exhilarating, confusing, and joyous. Capturing such a strange emotional state in a videogame is no easy task. What sensations are we to equate with childhood? Many sensations reoccur across children's literature, from spry curiosity to social shame. There is also a common feeling of isolation from adults. Adults are larger, more experienced, and carry the weight of authority. A small kid can feel alienated and undervalued, despite feeling as much like an agency wielding individual as her parents. Who has never felt trapped by adolescence? As many of us can remember, navigating a confusing world run by adults can be a disheartening experience. 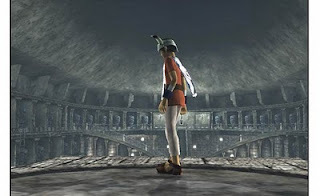 No game evokes a stronger sense of child-like frailty than Ico. The game's titular protagonist is a small boy in a clearly adult-sized castle. His movements always seem a little more strained than usual, and the sound of his panting and huffing depict a child out of his league. 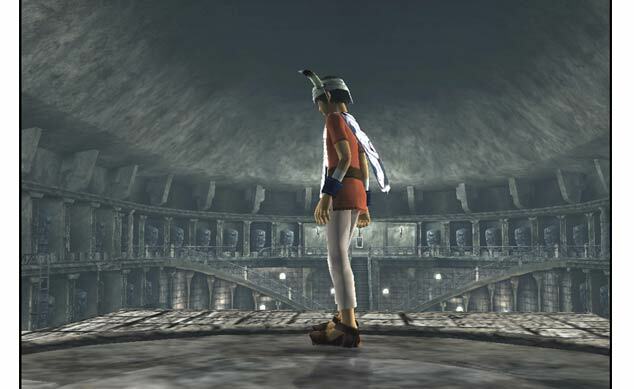 Ico, unlike many other videogame heroes, is constantly struggling to overcome his stature. A very early Sensationalist post discussed this very topic in greater detail. Suffice it to say this protagonist evokes, through sound and visuals, the sensation of being overwhelmed and inexperienced - the reality a child would face in such a dangerous situation. Nintendo similarly captures this feeling of dwarfed ability in Legend of Zelda: Ocarina of Time and Majora's Mask. While Link is still a very capable warrior, his abilities are altered depending on his physical form. In the first game, young link can fit through small passages, but also cowers under his shield instead of wearing it properly. 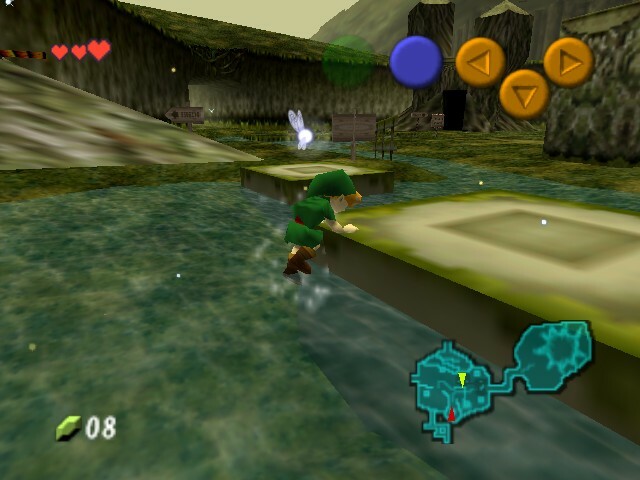 In Majora's Mask, the citizens of Clocktown make reference to Link as a young "deku scrub," calling him out and isolating him from his peers. Guards will not allow Link to leave town as he is just a boy, despite his many accomplishments. He can, however, ingratiate himself amongst another band of young miscreants, evoking a sense of youth comraderie - a pleasant result of unfortunate circumstances. Until Link can change his physical form, being a child means navigating an adult world with very particular strategies. The sense of separation between kids and adults also appears in Double Fine's Psychonauts. Raz, the game's protagonist, joins a psychic training summer camp as an effort to prove himself to his father. The aesthetics of the game are imaginative romps through distorted environments. One level combines Raz's childhood memories of a circus with another characters childhood fears of his butcher father. 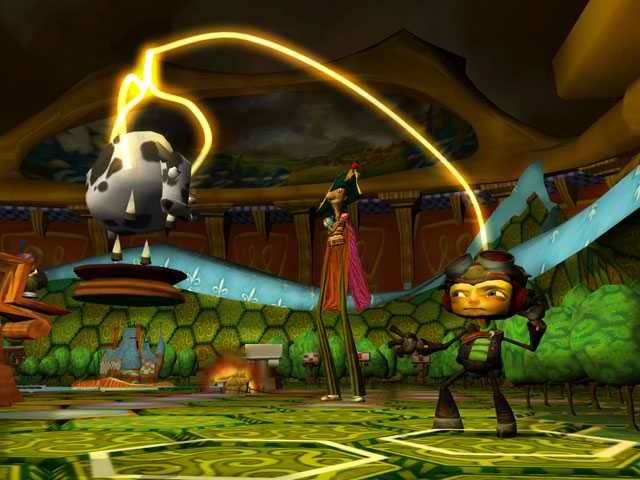 In Psychonauts, imagined anxieties become real, mirroring the uneasy fantasies of children. In these mindscapes, adults become caricatures of themselves. For example, the road crew in The Milk Man Conspiracy level are mockeries of FBI agents and roadside workers, giving themselves authority with strange and arbitrary symbols. As a child, adults can seem just as strange as the over-the-top inhabitants of Psychonauts. Raz enters the world of adulthood eagerly. Perhaps a child's perpetual curiosity and forward progress is played out mechanically in Lucidity from Lucas Arts. Sofi, the game's little girl protagonist, is always happily skipping forward. Players must place objects in her path, steering her clear of hazards and obstacles. While the mechanics make the player less like a child and more like Sofi's guardian, the aesthetics of the game beautifully evoke a child-like perception of reality. Lucidity is very much like a children's novel dealing with mature themes. As Sofi confronts the death of her grandmother, players feel a heightened sense of anxiety and confusion in increasingly difficult levels. When Sofi cowers in fear at an encroaching darkness, and players are reminded of the tragedy for which the game is a metaphor, the game evokes some of the very adult emotions children wrestle with as they mature. 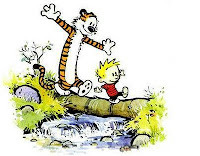 One aspect of growing up is confronting adult ideas, sometimes too soon, and learning about consequence. Fable 2 conveys a child's involvement in adult affairs with the games aptly named introduction, "Childhood." The player's decisions, while innocuous for a child, have long lasting consequences many years later. Tale of Tales creates an even deeper sense of child-like exploration coupled with deep foreboding in The Path, a dark retelling of Little Red Riding Hood. Robin, the youngest of six playable sisters featured in the game, is just nine years old. She approaches objects innocently, and objects we associate with adult ideas - like bullet casings - she may bypass altogether. Yet as she plays in this strange environment, her actions hint at the woman she may become and any number of tragedies that might befall her. Amazingly, the game evokes a sense of child-like wonder right alongside a child-like fear of the mysterious and unknown. It is inherently difficult to depict the experience of youth from an adult perspective. But that need not be our goal. Adolescence is inextricably tied to our perceptions about adulthood. While there are quite a few games that feature children gleefully exploring their world, some even recreating the joyful pleasure of independent wandering (Pokemon for example), few conjure the complex emotions of youth in transition. None of my examples should be considered "coming of age" tales per se. Yet all of them portray youth in relation to growth, both physical and emotional. They successfully isolate small aspects of childhood and with them engender interesting emotions. They open a mixed bag of sensations, from imaginative play to weary frustration, and give us a chance to be young again. The first is the Little Sister sequence in Bioshock 2. The sights and sounds give context to the innocent dialog that you hear whilst in Rapture. 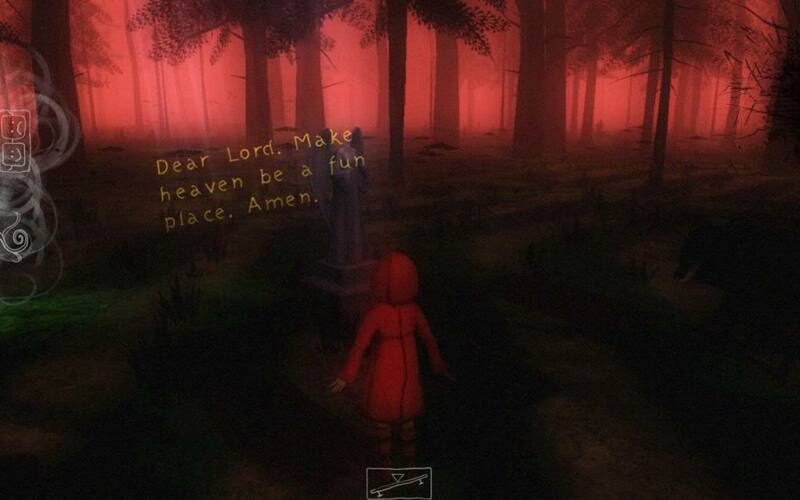 Here the game uses a childlike perception to emphasize the horror of this world through its effects on the most vulnerable andd this can be linked to many of the other themes that run through that game. I think Flower epitomizes childlike play in a game without explicitly coding the player as a child. You have this carefree and ultimately positive play space that accentuates every little action but also shows how quickly the unfamiliar can lead to something fearful. In touching on themes of growth (if I stretch the argument) it provides a link from the child within the gameplay to an adult player. 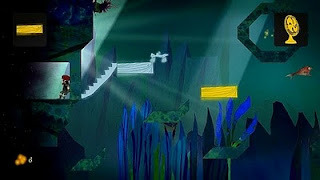 I feel like Flower contains all the advantages of providing the player with the nostalgic joy associated with these sensations of play without the loss of connection between player and avatar as you are simply the wind. I wouldn't think it out of place to hear child's laughter mixed in with the games amazing music. I still haven't gotten around to play Bioshock 2, but I hear great things about the Little Sister relationships. It's interesting that it has created the "child like" feeling without actually having the player be a child. Which, similarly, is why I almost talked about Flower in this post also! I didn't catch on the themes of growth relating to maturing. That's good stuff. The "adult" and burdened segments are why I did not include the game. Well said.